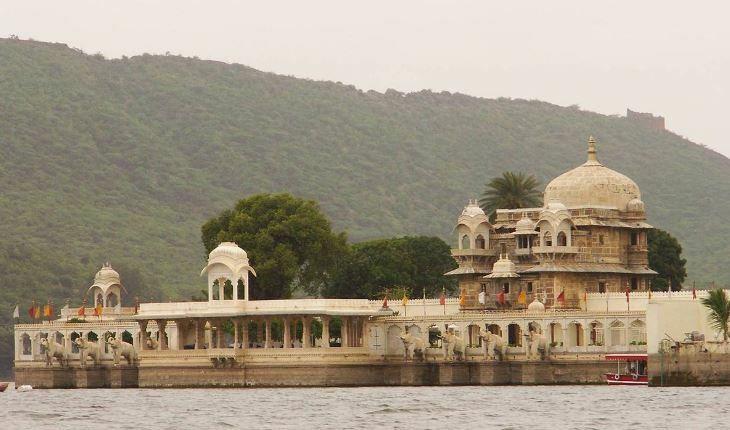 Jag Mandir Udaipur, Entry Timings of Jag Mandir, Entry Fees (Ticket), History, Architecture, Interesting Facts, Things to See, How to Reach Jag Mandir, Best time to Visit Jag Mandir. 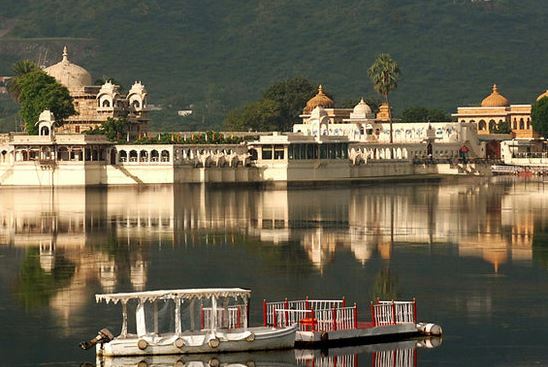 Jag Mandir is a beautiful palace located on the southern island of Lake Pichola. The three-storied Palace is a palatial structure made in yellow sandstone and marble. Built in early years of 17th century, Jag Mandir Palace was raised by Maharana Karan Singh to serve as a hiding place for Prince Khurram (popularly known as Shah Jahan). Between the years of 1620-28, Maharana Karan Singh ruled the region and during this period Prince Khurram revolted against his father. Maharana Karan Singh helped Prince Khurram as he was born to a Rajput mother. Khurram, accompanied by his wife and two sons left the kingdom. 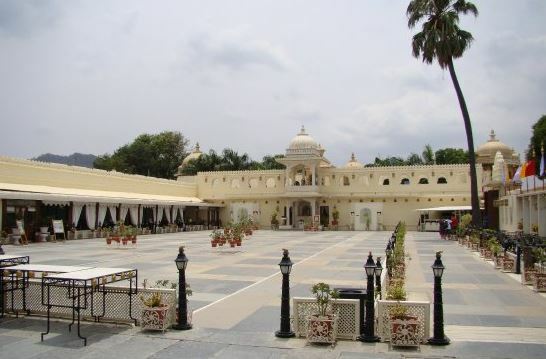 Then, Maharana Karan provided them a safe haven in the City Palace of Udaipur. The aristocrats were unsuccessful in adhering to the Rajput customs; subsequently Karan Singh shifted them to the Jag Mandir Palace. At that time, Jag Mandir Palace was under construction. It is great to know that Mughal Emperor Shah Jahan (Prince Khurram) imbibed several ideas, especially of pieta dura work, for the world-renowned Taj Mahal from Jag Mandir Palace, during his stay in 1623-24. The Palace was completed by Maharana Jagat Singh during his reign (1628-1652) after the death of Karan Singh. The present form of the Palace is the result of further additions that were made to it by Maharana Jagat Singh. Talking about the historical facts, Maharana Swaroop Singh sheltered a number of European families in this Palace, during the revolt of 1857. Construction of Jag Mandir Palace at first was started by Maharana Amar Singh of Sisodia Rajputs of the Mewar kingdom. The construction work continued later by the two succeeding rulers of the clan- Maharana Karan Singh and Maharana Jagat Singh I. Other than that, the palace has an interesting history revolving around it. It all started with Maharana Karan Singh of the Sisodia Rajput clan, getting all benevolent with the great Mughal emperor Shah Jahan. The Mughal ruler conspired against his father; Jahangir to be crowned the next king. On smelling danger in the execution of his plans, he sought refuge in the territory of Mewar kingdom, under the rule of Maharana Karan Singh. The Mughal family (Shah Jahan with his wife and two sons) were shifted to various safe havens (palaces and forts) in the Mewar kingdom. In the end they were rested at a domed pavilion known as Gul Mahal, which was later transformed into a fascinating palace. These friendlies between the Mughals and the Rajputs soon fell prey to the irony of time, when Maharana Amar Singh was defeated by the very hands of Shah Jahan, known by the name of ‘Khurram’ at that time. The transformed Gul Mahal underwent various additions in the reign of Maharana Jagat Singh I. For his brilliant designing of the structure, the ruler came to be known as one of the best architects in all of the Mewar dynasty. It is due to this, the final structure was named as Jag Mandir, after him. The yellow sandstone structure of Jag Mandir comprises numerous structures that are built over its three floors. Gul Mahal was the very first structure of the palace, which was built under the rule of Maharana Amar Singh, in the year 1551. During the early days, Gul Mahal just stood as a yellow sandstone palace which has an impression of a crown at the top. It is due to the imposing dome structure with the Islam crescent placed on the Mahal. The architecture of Gul Mahal is divided into three circular domed chambers, all of which has a common entry, from a columned hall. The main face of the structure flaunts twin marble Chatris or canopies. Marble decoration in the design is teamed up with precious stones such as onyx, jasper, rubies, jade and cornelian. It resembles a lot to the decoration of Itamad-ud-Daulah; a Mughal creation, at Agra city. The Mahal from the outside is surrounded by circular apartments of white and black marble, which adorns exquisite murals and paintings. Gul Mahal, when enlarged by the succeeding ruler, came to be known as Jag Mandir. Sporting a fascinating blend of Mughal and Rajput style of architecture, Jag Mandir features reception halls, internal courts and residential suites. For the royal ladies, an adjoining palace known as ‘Zenana’, is still maintained. Whereas, the palace of the erstwhile crown prince can be located at the western end of Jag Mandir. Designing of the Jag Mandir Palace have been exquisite at all grounds. Not only in context of the designing of the hall and other interiors, but the entry point of the palace as well. Just like the other structures, the entry pavilion stands apart in terms of decoration. It has beautiful white cusped arches and the carved statues of elephants; four on each side, right at the entry point of the jetty. Jag Mandir has an intriguing history behind it, which starts with Mughal Emperor Shah Jahan, who sought refuge with the Mewar Kingdom in Udaipur, where Maharana Karan Singh offered him safety. Shah Jahan, before becoming an emperor, was given stay at Jag Mandir’s Gul Mahal with his wife Mumtaz Mahal, and children. During India’s first war of independence in 1857, Jag Mandir was used as a refuge palace for the women and children of European families. Shah Jahan took quite a few ideas from the Jag Mandir construction to put into the Taj Mahal. The palace is made of yellow sandstone and marble, giving it a pretty look overall with the delicate carvings on many of its structures. 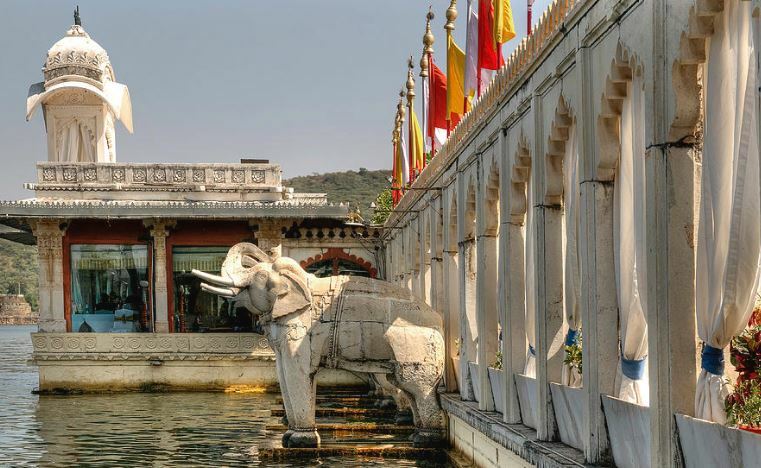 One of the best features of architecture in Jag Mandir is the life-size elephants made of marble, who guard the palace. The museum in the complex of Jag Mandir is a must visit as it displays and retains some of the most important parts of the history of the Mewar dynasty and culture. For some delicious Rajasthani cuisine, the Darikhana restaurant in the Jag Mandir complex should certainly be paid a visit. The beautiful garden courtyard is as mesmerizing as anything else in the Jag Mandir area, and it is through this garden that the palace is known as Lake Garden Palace. The garden is home to flowers like moss rose, yew bushes, jasmine, bougainvillea, nasturtiums, and verbenas. The Bara Pattharon Ka Mahal is one of the most fascinating structures of Jag Mandir apart from the Zenana Mahal (women’s quarters) and the Kunwar Pada ka Mahal. Gul Mahal, the most popular attraction of Jag Mandir was first built in 1551, which was further developed during the time of Maharana Jagat Singh. It also consists of the crescent of Islam on the top of its dome. The Mahal is surrounded by black and white murals and paintings, which give it a rather unusual touch as per usual Rajput architecture. The main palace, Jag Mandir, has octagonal towers at the corners topped with splendid domes. The Lake Garden Palace can be reached through a 30-minute or 1 hour boat ride from the Bansi Ghat jetty. There are private boats and cruise rides available. By Air: The city of Udaipur has a well-operational airport, known as the Maharana Pratap airport, located at a distance of 20 km from the center of the city. The airport has a good connectivity with major Indian cities like Delhi, Kolkata, Jaipur and Mumbai. By Rail: Udaipur is also connected to important cities of India by the medium of railways. Trains from and to Jaipur, Kolkata, Indore, Delhi, Mumbai and Kota are operational at a regular basis from the Udaipur railway station. By Road: A well-maintained network of road connects Udaipur from various nearby cities. Self-drive or bus journeys are reliable options to make it to the city.